The judge found that 'immediate and irreparable harm' was likely to result if a receiver wasn't appointed to take charge of Hillsboro Community Hospital. A Marion County, Kansas, judge on Friday appointed a receiver to run Hillsboro Community Hospital after its lender moved to foreclose on the 15-bed facility earlier this month. The judge named Cohesive Healthcare Management + Consulting LLC of Shawnee, Oklahoma, to operate the hospital while the foreclosure action proceeds. The company specializes in providing administrative services to critical access hospitals, according to its website. The appointment came after the city and the Bank of Hays jointly requested the appointment of a receiver. The bank alleges the hospital defaulted on a 2015 construction loan and owes it nearly $10 million. The hospital had been run by EmpowerHMS, a North Kansas City company that has snatched up distressed rural hospitals in the Midwest and elsewhere with the promise of turning them around. In recent weeks, Empower has experienced cash flow problems, causing it to fall behind on payments to its hospitals’ vendors and employees. Earlier this month, Hillsboro, a town of about 3,000 residents 50 miles north of Wichita, threatened to cut off Hillsboro Community Hospital’s electricity over delinquent utility bills. EmpowerHMS came up with a payment at the last minute to avoid the shutoff. Officials of EmpowerHMS could not be reached for comment late Friday afternoon. EmpowerHMS took over Hillsboro Community Hospital in 2017 when it acquired Rural Hospitals of America, which operated rural hospitals in Kansas and Missouri. EmpowerHMS's cash flow difficulties appear to stem in part from insurers’ increasing unwillingness to enter into contracts with its hospitals. Last year, Blue Cross Blue Shield of Oklahoma dropped EmpowerHMS’s hospitals from its network, citing what it called questionable lab billing practices at the hospitals. 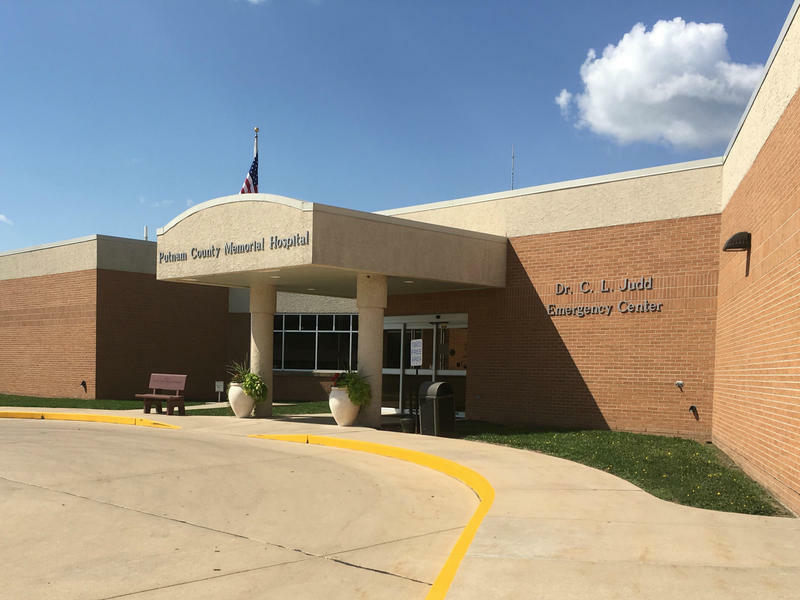 In addition to Hillsboro Community Hospital, EmpowerHMS owns Oswego Community Hospital in Oswego, Kansas, and Horton Community Hospital in Horton, Kansas. In Missouri, it owns I-70 Community Hospital in Sweet Springs. It also owns hospitals in Oklahoma, North Carolina, Arkansas and Tennessee. The city, 50 miles north of Wichita and home to about 3,000 people, said in a brief news release that it gave notice to the hospital on Jan. 8 that it would shut off utilities effective at noon Friday. It received the payment in the morning. Rural hospitals affiliated with North Kansas City-based EmpowerHMS are struggling to meet their financial obligations, leaving employees and vendors holding the bag. Various news outlets have reported that EmpowerHMS hospitals in Kansas, Oklahoma, Tennessee and Arkansas have failed to meet payroll or defaulted on their rent and utility payments.